Fortnite (Free) patch 6.22 is nearly here and the official patch notes have revealed a new Limited Time Event and a Limited Time Mode. Team Terror sees monsters invading the island with two teams battlign it out alongside. The aim is to beat the other team for a Victory Royale. Each team will have 32 players and monsters will drop loot with Gold monsters or spawners dropping legendary items. 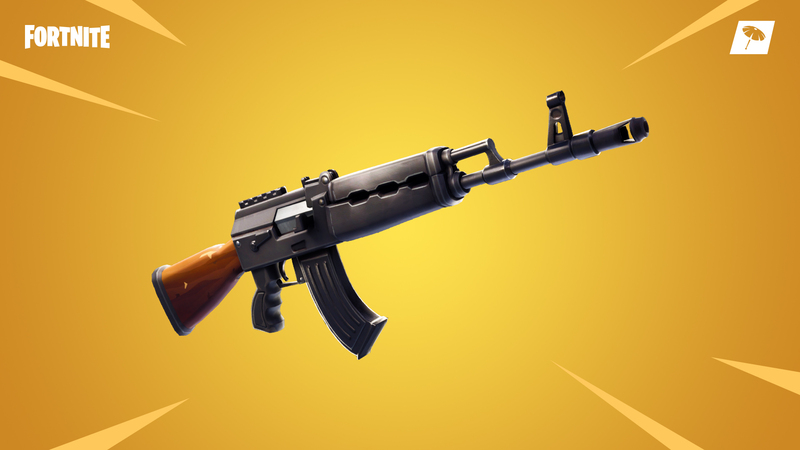 The Heavy Assault Rifle has been added with the patch and it is available in Rare or higher tiers with a magazine size of 25. Blitz is the Limited Time Event for this patch and it is a faster Battle Royale. Each match will be 15 minutes or less. Epic Games also announced a partnership with the NFL to bring NFL themed outfits to Fortnite beginning November 9th at 7 PM. Each outfit can be swapped to any of the 32 NFL teams and a unique Fortnite item. The number can be customised as well. If you do play Fortnite, we have a dedicated channel in our Discord. Make sure to join our Discord channel here to squad up and get some Victory Royales. If you play only on Nintendo Switch, you can now play with PS4 gamers as well thanks to Sony finally allowing true cross play. Patch 6.22 is not live on iOS or Android yet but downtime is currently going on. Hopefully this patch won’t be delayed on just iOS like the last one.